Rejoice, dear readers! 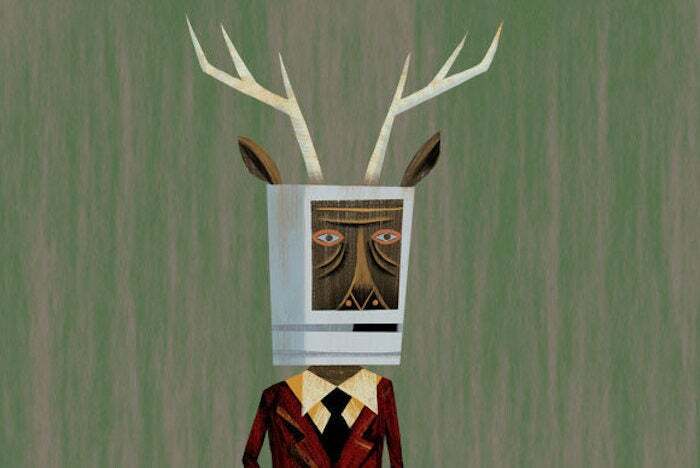 The Macalope brings you good tidings, for a noted technologamagonist has a solution to the problems of modern society that are all caused by Apple! With the clear evidence of the detrimental effects of social media on our democracy, it’s a fair question and a serious topic. If only it weren’t being tackled by a walking conflict of interest with an apparent penchant for creating a police state. When I first saw the iPhone, I was appalled and, frankly, frightened. Personally or for your clients who all just happen to be Apple competitors? My concern was that many kids (and I should have included, but didn’t, many adults) have ADD. In fact, I’m not sure ADD is even an exception with kids any more. Translation: I am a million years old and don’t cotton to this newfangled science! Why, in our day, the only medicine we had was a hickory stick! Which we were both beaten with and had to eat. Ah! An attention deficit might make someone more easily distracted, yes! Rob Enderle Explains Science is the sequel to Drunk History. On the social media side, there has been a massive increase in false news that has inflamed people, sometimes inciting them to violence. Because of the iPhone and touch screens. It’s amazing what you can blame on Apple when you really, really try. Companies like Apple, Facebook and Google have a massive amount of information on us, which they monetize. One of them really does not. Let’s be clear—every cellphone tracks you. An iPhone will record where you went. It won’t transmit that data to Apple. Rob probably knows this but his loose association with “facts” is a feature for him, not a bug, one that works to the benefit of his clients. It’s a little ironic in a piece that complains about “fake news” but you can’t make a monetized relationship omelette without breaking a few factual eggs on the reputations of companies that are not part of that relationship. Everyone knows this. Yes, let’s let Facebook tell us who we should preemptively arrest! There’s absolutely nothing that could go wrong with that. Perhaps the proverbial racist uncles that love the platform will have some suggestions. This isn’t a privacy issue—they already have the data. Again, Apple does not. Not only that, they are willing to fight the FBI over the issue. It was in the papers, Rob. Or maybe… OMG WAS THAT FAKE NEWS? Rob then gets back to business by recommending the Xbox One X which, in a weird coincidence, just happens to be made by a company that regularly sends him checks. Oddly, that fact doesn’t appear anywhere on TechNewsWorld’s webpage. Maybe after Facebook solves our violent crime problem it can get on the soft crime of greasing the skids for your masters and disguising it as analysis.